For many decades Silicon Valley has had to put up with bland, generic office buildings that added zero architectural value to the surrounding areas. It looks like all of that is about to change very soon. 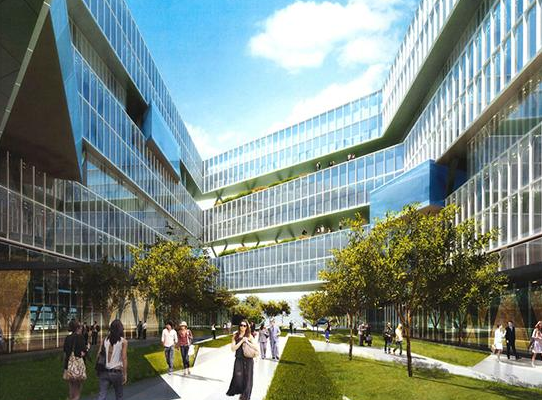 At least four potentially iconic office complexes with eye-catching aesthetics are going to be built in Santa Clara County over the next few years. Samsung is building a pair of 10-story buildings in North San Jose where you are never more than one floor away from an outdoor garden and courtyard. 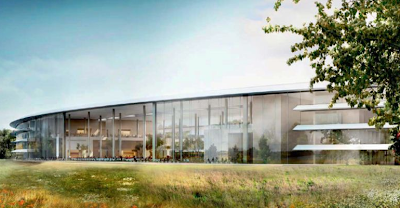 Apple is replacing their Cupertino campus with a single, giant, 2.8M SQFT spaceship-like building for 12,000+ employees. 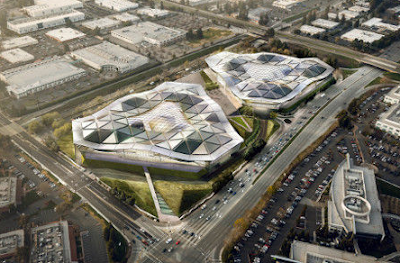 Nvidia is honoring the pixel by building two massive triangle-shaped buildings with open floors measuring 250,000 SQFT in Santa Clara. Lastly, Google is building a new ultra-green Bayshore campus in Mountain View with rooftop gardens. I think this trend will continue as leading valley tech companies try to one-up each other. We will just have to wait and see which building turns out the best from this initial battle of flagship offices. 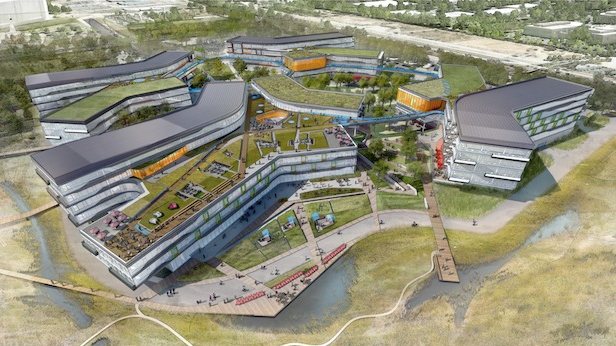 One thing is for certain... the days of mediocre office building being acceptable in Silicon Valley are numbered. Apple's new campus is a joke. It looks great in aerial mock-ups, but once its built, from ground level its going to appear as nothing more than a giant impermeable fortress. It will do very little to contribute to street life or urbanism in the south bay. 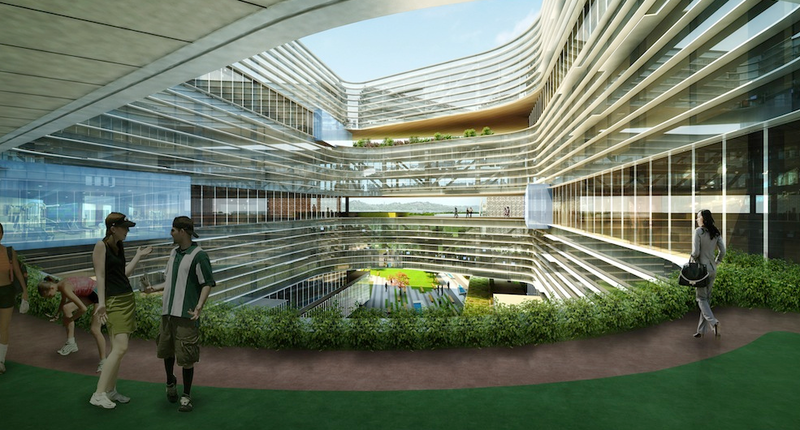 Nothing about this project is human scale. 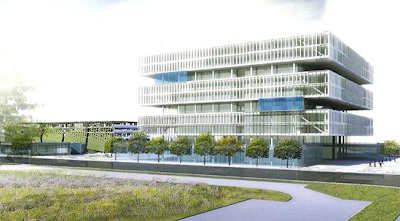 The architectural significance will be lost as the building's "impressiveness" will only seen from the sky. 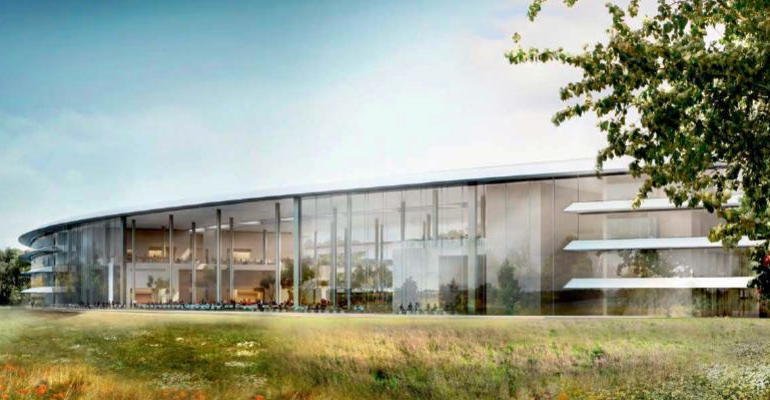 Cupertino residents and visitors will be greeted with a massive white wall engulfed in Apple's private forest. 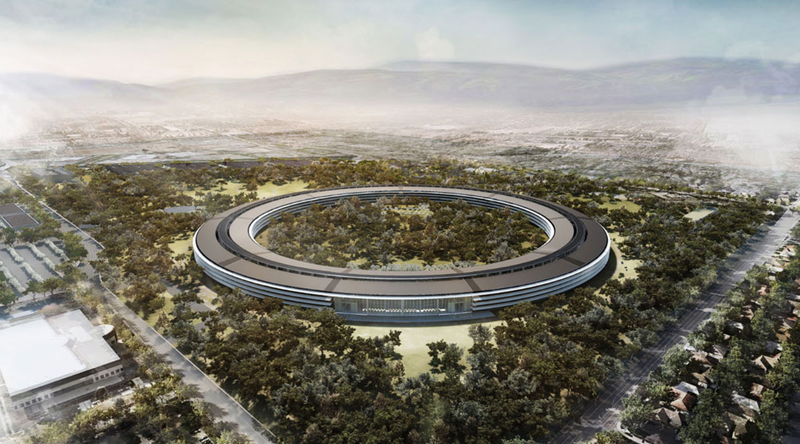 Apple is not making any reasonable contributions beyond a stronger tax base for Cupertino, but that may be undermined by the traffic congestion nightmare that this thing is going cause. Samsung, on the other hand, is making something that not only compliments the area, but makes use of existing transit in an area of town that is gradually becoming denser and more varied in activity (housing, retail, etc.). 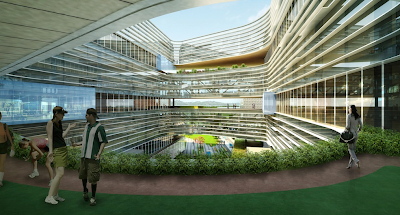 And the project has the potential to contribute the South Bay with its bold architecture, environmentally friendly features, coherent scale, and sensible location. I passed the Samsung site this morning, and there was a lot of pre-construction activity happening... moving trucks carting away office furniture, PG&E crews doing survey work, and a rig getting set up to presumably do soil borings. Some of this activity has already been going on for several weeks, but this week it appears to have stepped up a notch. Looking forward to seeing more interesting office spaces in the downtown and greater SJ. There's defiantly room from improvement with the current lot. My thinking is that these drawings are a bit optimistic compared to what might actually be built. Samsung and Apple are final designs, Nvidia is 90% final, Google is the only one that might change. The high tech people are dodo heads. They still prefer the suburb over Dt San Jose. What's the matter with these lifeless tech people? 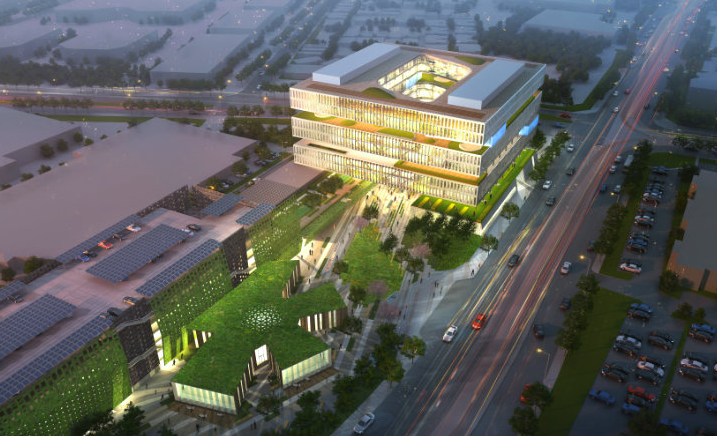 Why can't they design highrise downtown offices in downtown for their headquarters instead of being in the very sterile suburb? They could've made downtown very dynamic and pack with energy. They should abandon these projects and start marching toward and make a better life for everyone in this valley. Kind of have mixed feelings on the Nvidia SC project, considering they were once close to relocating downtown (Sobrato Tower). Perhaps they could have also expanded across the street at the Boston Properties parcel. Oh we'll, what could have been for our downtown..
Do like the architecture presented, even the Apple spaceship. However, I'm hoping N1 goes with more traditional high-rises/skyscrapers along the core of N. 1st. Street. This one was a bit disappointing for me as well. Two stories?? It does look really cool, which is why I included it. 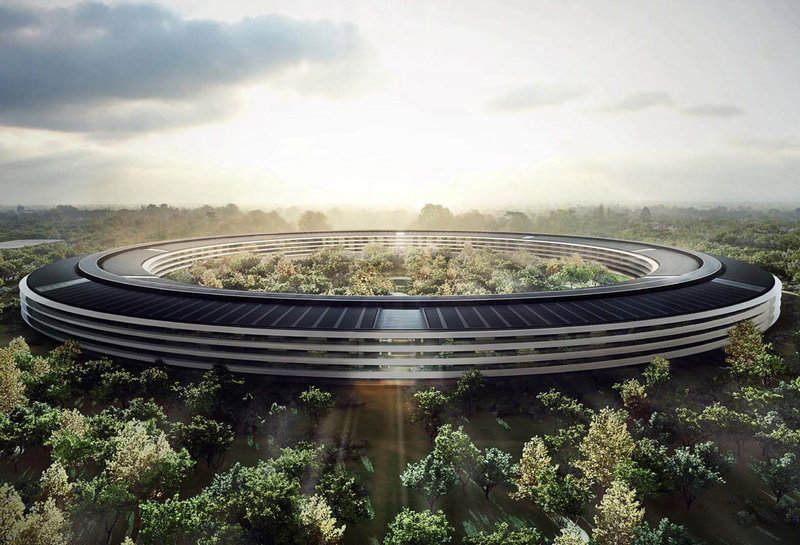 I don't think the Apple spaceship is intended to replace Infinite Loop, but rather the various other office buildings all over Cupertino.